How? Simply shop and add one of them to your cart. It will be discounted on the checkout page. 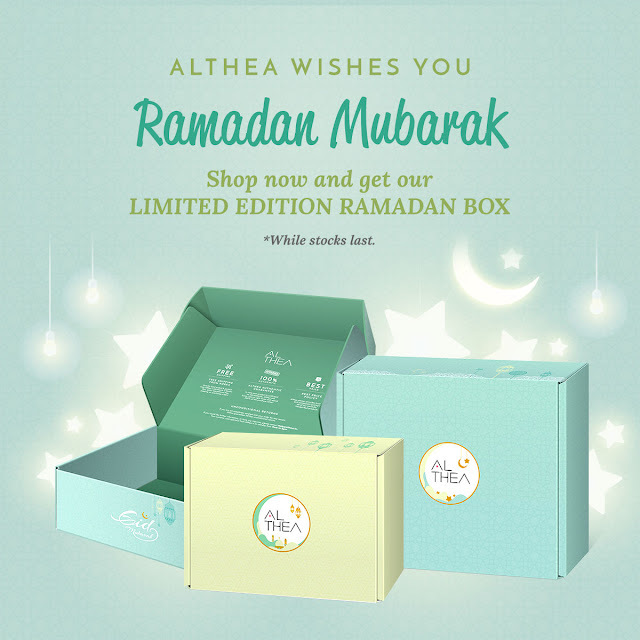 Along with that, get the Limited Edition Althea Raya Box when you shop at Althea Koran during this Ramadhan month! OMG, you must be feeling the festive season already! By the way, congratulations on the launch of the blending pearl and your liquid lipsticks!!! I wanted to purchase but I promised myself I would successfully complete a NO BUY 2017 challenge! I will be sure to purchase it in 2018!! !